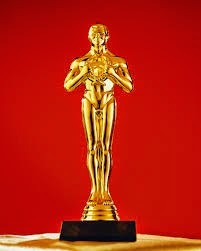 And the Award Goes to ….Who?????????? It’s Academy Award time again, and I, like millions of others, will be hunkered up for 4+ hours watching with baited breath. I really can’t tell you why I do it. I don’t go to the movies much, and on the rare occasion I decide that I actually I want to see something in the theatre, it’s already long gone. So, I have to wait until the DVD is available to rent at the library, and by that time, I’ve forgotten which movies I wanted to see anyway. Of course, I wouldn’t miss the enjoyment of red-carpet-gown-bashing, and I sometimes find the entertainment between presentations amusing. But when it comes to the ceremonious winner reveals and acceptance speeches, I find them about as exciting as watching the beer truck unload in front of the 7-11. Hosted, this year, by Doogie Hauser (I know Neil Patrick Harris is an accomplished song & dance man, Emmy and Tony winner, but he’ll always be Doogie to me), I anticipate nothing to laugh about in the hilarity department. 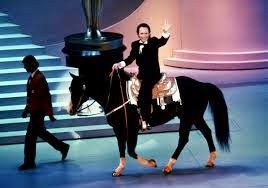 Let’s face facts, they’ve tried tons of different hosts, but all pale to Billy Crystal riding in on a horse with saddles blazing. Well known or little known, I know where I’ll be come Sunday night. I’m not going to embarrass myself by giving any predictions or opinions on who should win an award. 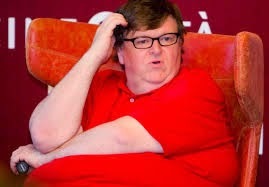 However, I am hoping that “American Sniper” takes home a golden statue — if for no other reason than to bust Michael Moore’s chops. 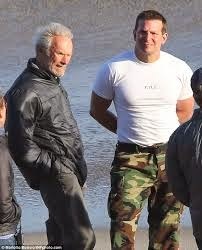 Then again, there's Clint and Bradley...ummm...guess they're reason enough!